On July 25th, 2016, a young man attacked a centre for people with disabilities in Japan, killing 19 and wounding 26. He had sent a letter to the president of the Japanese Parliament expressing his belief that people with disabilities cannot be happy and can only bring misfortune to their guardians. 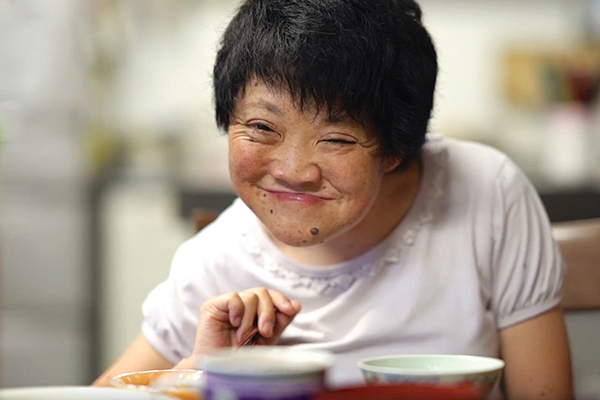 In this film we meet Sachiko Tanaka, a woman living with an intellectual disability and a member of L’Arche in Japan. Sachiko, whose name means “child of happiness”, is making recycled paper, as she does every day. However, this time with her community, Sachiko is recycling the letter on which the murderer justified his actions. She uses the finished paper to make nineteen Origami cranes. According to Japanese tradition, the cranes’ task is to carry souls to paradise. This heartwarming film is a tribute to the victims and a challenge to assumptions about people with different abilities.